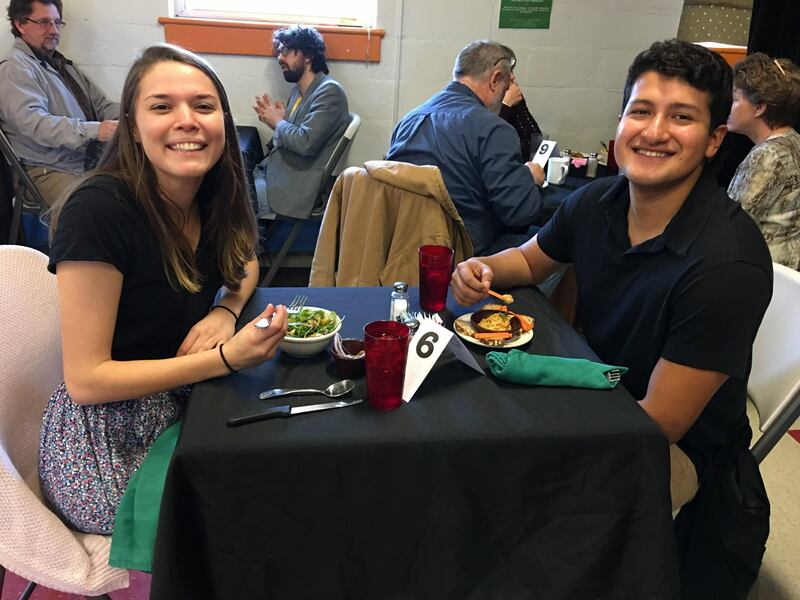 The Friday Lunch Restaurant is open for business every Friday from 11:30am – 1:30pm, serving up 3 delicious courses for $10 or 1 Star (stars are earned by volunteering at OCP). This is a wonderful way to be a part of what is happening at OCP. Work for our Kitchen Industries employees. Meaningful training for OCP community members. 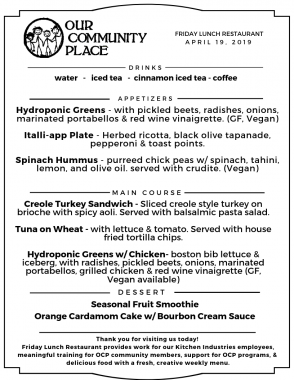 Delicious food with a fresh, creative weekly menu.